Check out Tobi's Nash Check Dress Own it, babe, in The Fifth Label's Nash Navy Multi Check Dress. 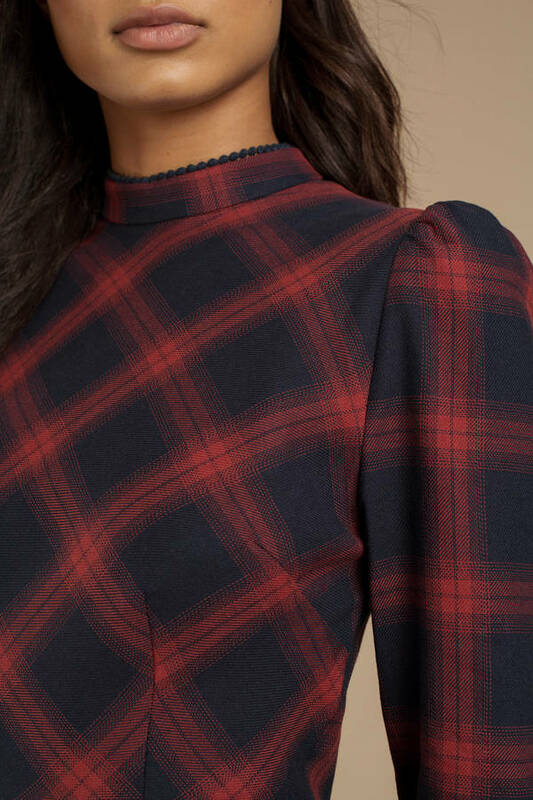 This grid print dress features a mock neckline, structured long sleeves, wrap around ruffles, checkered print, back zipper, and an A-line construction. Pair this navy high neck ruffle dress with sock booties at your next date night. Own it, babe, in The Fifth Label's Nash Navy Multi Check Dress. 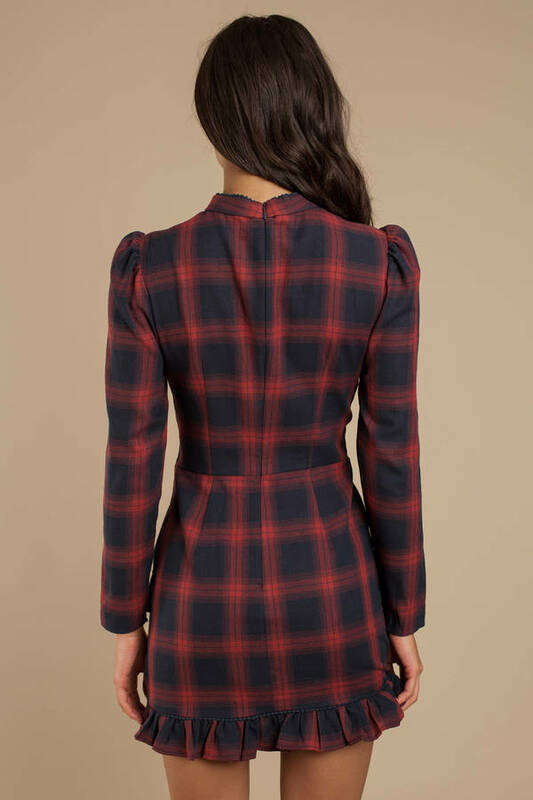 This grid print dress features a mock neckline, structured long sleeves, wrap around ruffles, checkered print, back zipper, and an A-line construction. Pair this navy high neck ruffle dress with sock booties at your next date night.